Will Apple invest in AUO to help it become a major AMOLED producer? Reports that Apple has decided to adopt OLEDs in the 2018 iPhone models has been around for a while, and most of them concluded the Apple will sign OLED supply agreements with both Samsung and LG. A new report from Taiwan suggests that Apple plans to invest in AU Optronics, and help it become a leading OLED producer. AUO declined to comment on those rumors, but shares in the company jumped over 5% in Taiwan's stock exchange. AU Optronics has been developing AMOLED technologies for many years, and is currently focuses its OLED efforts on the wearable market, and is already producing 1.63" panels. AUO is also developing 1.4" and 1.3" circular AMOLEDs, and other OLEDs. 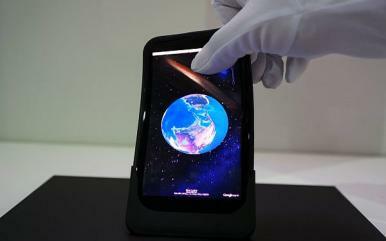 AUO is also producing 4.3", 5" and 5.5" AMOLED displays for mobile phones. The company also have an active flexible/bendable OLED program and used to develop large OLED TV panels as well, in collaboration with Sony.